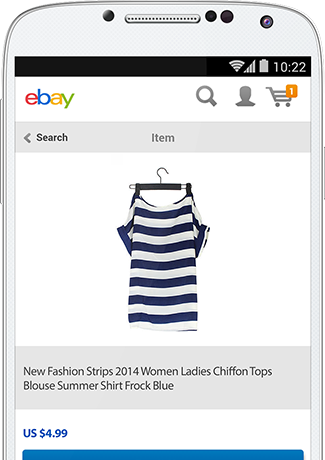 Discover the ease of selling on eBay. Jumpstart your business with an eBay store and reach out to millions of eBay buyers. Whether you are selling locally or globally, incorporating PayPal into your eBay listings can help attract more buyers. Create a seller account on eBay and link it to your PayPal account. Verify your PayPal account to increase your credibility and/or to set up an eBay Store. Create your eBay listing and start selling. eBay is here to help you succeed. Whether you're a big business or just a casual seller, eBay is a great way to reach customers at home and around the world. It's easy to get started, and you can potentially start making sales as soon as you list your items. Display all your listings—regardless of format—in one convenient location. Create and personalise your eBay Store with a unique web address. Access to eBay Store tools to build, manage, promote and track your business. PayPal’s Seller Protection programme covers eBay sellers for claims, chargebacks and reversals for unauthorised payments and items not received for eligible transactions that are paid for with PayPal. What are the requirements to sell on eBay? Provide details with a valid credit card, debit card, or bank account information. Inform eBay how you would like to pay your seller fees. Select the payment methods you'll accept. Make sure your Feedback Profile is public. It is also recommended that you verify your PayPal account. What should I look out before listing an item? Before you list an item, look for similar products that have been sold recently on eBay to help you select the best category, price or learn your item’s potential value. Review the eBay seller’s checklist and the tips for successful selling. The basic cost of selling an item is the insertion fee plus the final value fee, plus fees for any optional features and services you may use. Learn more about how fees are calculated, the cost of listing and selling an item, and the eBay standard selling fees. How do I set up an eBay Store? Seller account with your credit card on file. PayPal verified account , and consider upgrading to a PayPal Premier or Business account so you can accept credit card payments from buyers. To open a Premium or Anchor eBay Store , your eBay seller performance level can't be below standard.